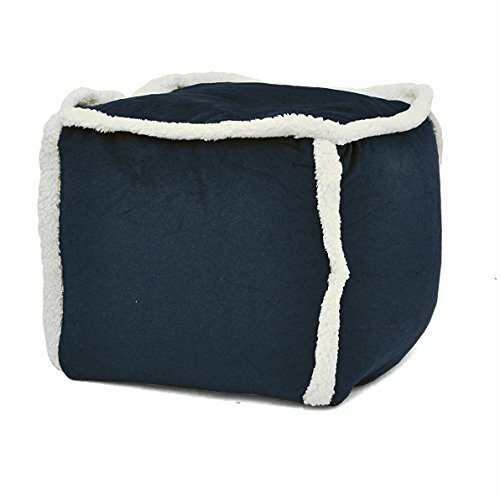 Add a pop of fun to any room with the Urban Shop Sherpa Pouf. Part of the Urban Shop collection, the chair easily pairs with the furniture and accent pieces in this collection. It is perfect for use as an accent piece, foot rest, or extra seating. The fabrication is 100% polyester and is spot clean only. Dimensions: 15" x 15" x 15".